LOOKING FOR A BEAUTIFUL 4 BEDROOM RENOVATION WITH TONS OF SPACE IN A QUIET NEIGHBORHOOD AT AN AFFORDABLE PRICE?!? YOU'VE FOUND IT! WELCOME HOME TO 303 TAREYTON LANE IN THE FAMILY FRIENDLY NEIGHBORHOOD OF PARK MANOR. 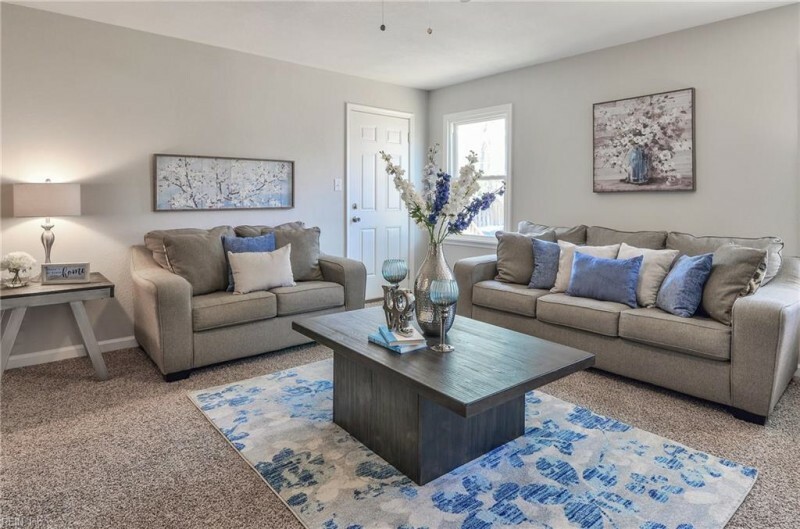 HOME FEATURES NEW ROOF, NEW HVAC, NEWER WINDOWS, NEW KITCHEN WITH SOFT CLOSE DOORS, GRANITE, A FARMHOUSE SINK AND STAINLESS STEEL APPLIANCE PACKAGE, ALL NEW BATHROOMS, PLUMBING, PAINT, FLOORING AND FIXTURES THROUGHOUT. HURRY AS THIS ONE WILL GO QUICK! Ready to visit 303 Tareyton? Request a free property tour! Send me more information about the listing at 303 Tareyton, Portsmouth, VA 23701, MLS# 10239724. This 4 bedroom, 2 bathroom home located at 303 Tareyton, Portsmouth, VA 23701 has approximately 1,628 square feet. It is currently listed for $229,500 and has a price per sqft of $14,097. This home is currently Under Contract under the MLS#: 10239724. This listing is provided by COVA Home Realty. 303 Tareyton Lane, Portsmouth was built in 1955. It has Street parking.The kitchen includes 220 V Elec, Dishwasher, Dryer Hookup, Microwave, Elec Range, Refrigerator, Washer Hookup. 303 Tareyton is part of the Park Manor neighborhood located in 23701.